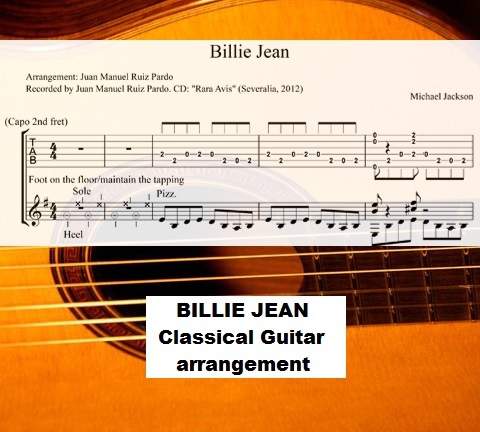 Who doesn’t remember the famous Michael Jackson song “Billie Jean”? Our Spanish guitarist Juan Manuel Ruiz Pardo made this unique arrangement. It’s wonderful and so well suited to the classical guitar. Try it out yourself!